We love the classics and we love storage so we thought it would be a good idea to create a list of the best modern shelving solutions and organizers ever created! As it happens; our top 3 was designed between 1968 and 1972. The Boby Cart and the Componibili were both designed in Italy. But we have 1 American manufacturer in the top 3, Directional Industries Incorporated with their UMBO shelving system. The Boby Cart and the Componibili are both in the permanent design collection of the Museum of Modern Art, New York. Unfortuantely they overlooked the UMBO; which rightfully deserves a place in the museum as well. 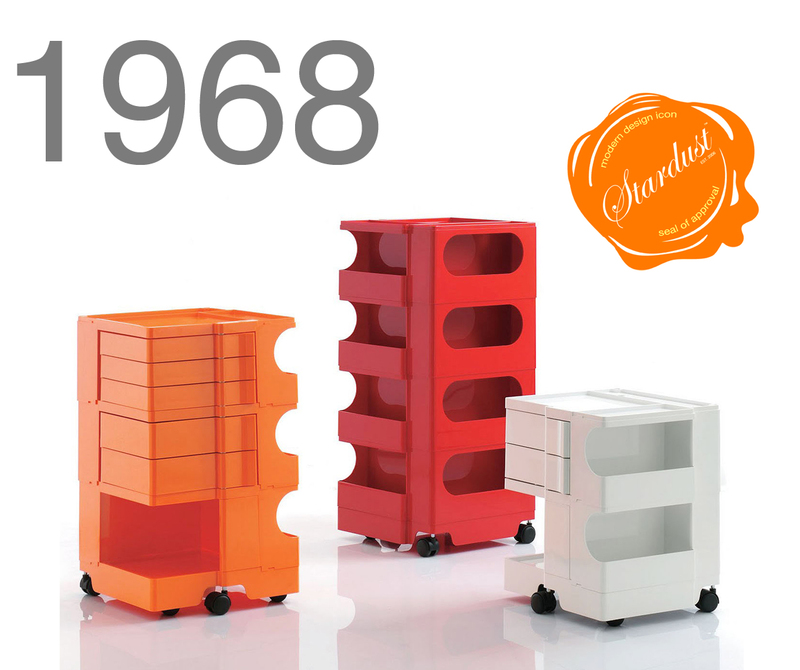 A close contender for our Top 3 is the brilliant Free Standing Shelving System which Austrian designer Olaf Von Bohr created for Kartell in 1972 (Kartell Product 4964); it is not included in this list although it is equally stunning (for a picture, please see our Kartell Design page). Need something unique and interesting in your room or office? Here's the perfect storage unit for you. Boby Cart, designed by Joe Colombo in 1968 and now part of the permanent collection of the Museum of Modern Art in New York... Originally designed to meet the storage needs of artists and graphic designers, its many drawers and shelves can make this "Portable Storage System" fit into any space, small or large. We'd use it in a bathroom where it can store everything from make-up to hair dryers, curling irons and towels within easy reach; in a kitchen, fitted with a wooden cutting board to form a small island; in a home office, to hold a small printer, a shredder and office supplies; as a landing strip to corral umbrellas, mail, sunglasses, extra keys, change and all the other detritus of life; or, even as a unique and fully-equpped bar cart, ready to serve our guests drinks in the living room. Surprisingly it is still available and on sale at Stardust Modern Design. Trained at the famed Milan Polytechnic Institute as an architect, Anna Castelli Ferrieri began designing for Kartell in 1966, after being chosen as the architect for their headquarters. One of her first creations was the Componibili, a modular storage system that became an overnight success and remains one of the most popular items in the Kartell collection. Componibili is a stylish and intelligent design solution to all your storage needs. Componibili is a series of modular round storage elements with sliding doors designed to meet various needs and to fit into any room in your home: bathroom, bedroom, kitchen or living room. Flexible, functional and practical, the Kartell Componibili modular units have been in production for over 50 years and have received international recognition. While Componibili is no longer available in yellow, you can still purchase it in either white, black, red or matte slver. Componibili can be found on display at the Museum of Modern Art in New York and at the Centre George Pompidou in Paris. The authentic original, produced by Kartell in Italy, can still be purchased through modern design purveyor Stardust at a very reasonable price. Stardust has every color in stock & ready to ship. This Italian space age look-a-like shelving system was designed and produced by a small New York manufacturer, Directional Industries Incorporated. 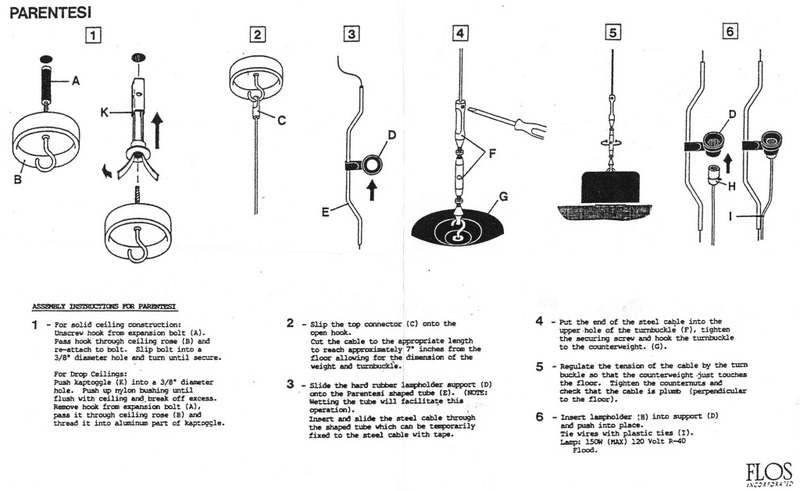 Directional Industries Incorporated was established in 1963 and was located at 41 E 57th Street in New York. From the mid- to late 1960s, Directional Industries Incorporated produced furniture that was designed by Milo Baughman (one of the leading American modern furniture designers of the second-half of the 20th century). But by the late 1960s their focus shifted to plastic furniture. George Beylerian had already did most of the groundwork in the US with his partnership with Kartell (Beylerian imported the plastic molds from Kartell in Italy and produced his Beylerian/Kartell furniture in a South Carolina manufacturing facility). The American public was ready for change and plastic design furniture was becoming wildly popular by 1968 hitting a natural high in 1970. 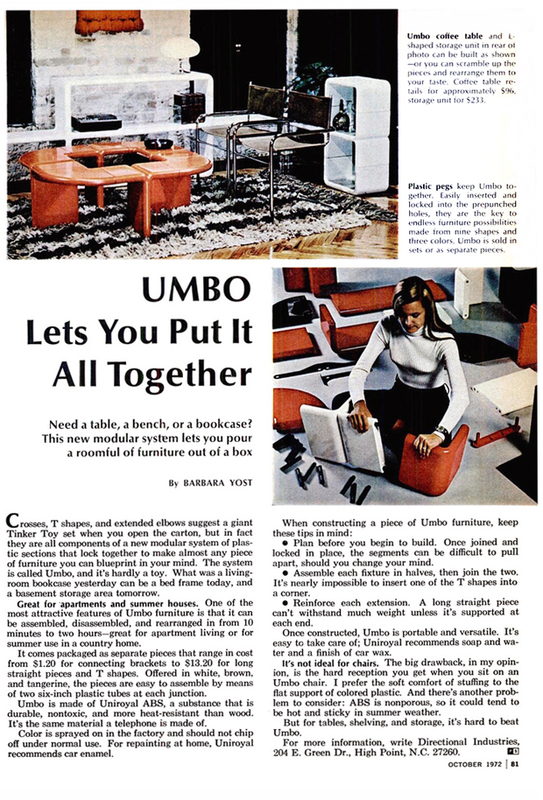 UMBO was one of the first furniture creations in plastic by Directional Industries Incorporated. 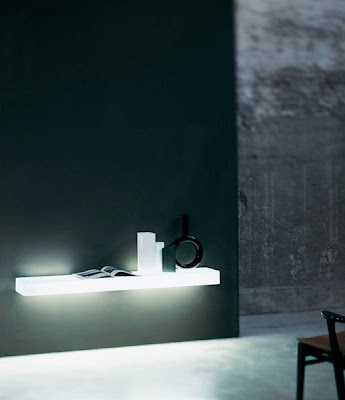 UMBO is often attributed by dealers to Italian designer Joe Colombo although this is erroneous. While it does have the looks of a Joe Colombo designed piece (rounded space age curves), the design of UMBO was an exceptional in-house design from Directional Industries. 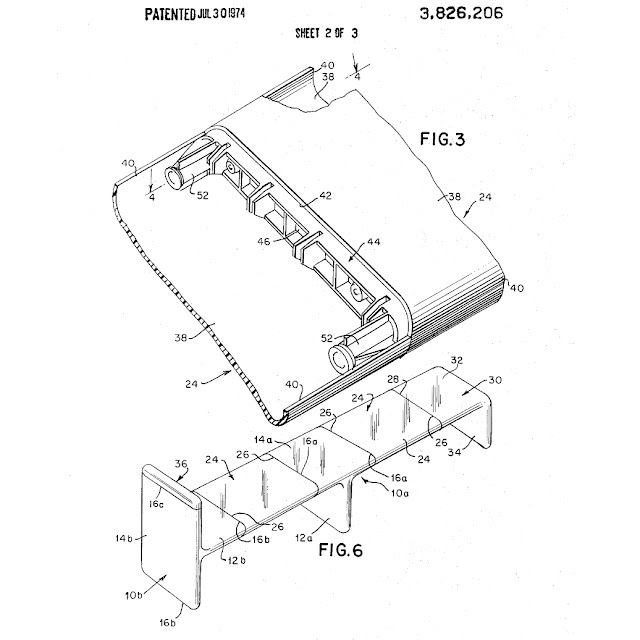 We did extensive research with the United States Patent office and found out that American designer Kay Leroy Ruggles (June 5, 1932 - May 16, 2012) was awarded the patent for UMBO on July 30th 1974 (Patent #3,826,206). According to his family, Kay Leroy Ruggles was a pioneer, inventor and entrepreneur throughout his long and successful career and won many awards and honors. He held numerous patents and designed and developed over 100 products in a wide range of industries, including automobile, space, furniture, window coverings, amusement park and musical instruments, to name only a few. His unique designing style defied labeling and categorizing. He would simply say, "I make things happen". UMBO was offered for sale at Bloomingdale's and other department stores. UMBO was published in New York magazine on September 25, 1972 and became a (very big) one-hit wonder for the company (although the patent was still pending). 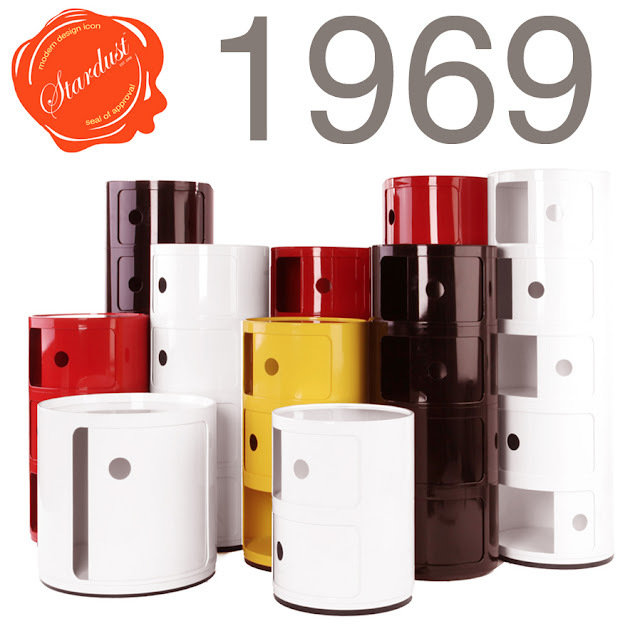 Thousands of these were sold in various colors including white, yellow, orange, red, brown and black. Directional Industries produced a wide variety of modules; since UMBO was fully modular, it could be arranged and re-arranged at any time. UMBO was even available with a desk, dining table, bed frame or wall shelves module which made it perfect for small New York apartments. Unfortunately for Directional Industries Incorporated, the ensuing energy crisis of 1973 marked the end of the era of cheap gasoline and...plastics. In the middle of 1975, after the OPEC embargo and an American oil crisis was well underway, Directional Industries Incorporated shuttered its facilities, never to reopen. While UMBO has been out of production for almost 40 years, these fantastic UMBO shelves can still be found online or at thrift stores and flea markets. In fact; back in 1992 while we were still based in New York City, we found an UMBO at the sidewalk of 34th Street and 5th Avenue ready to be picked up by the garbage truck. We kid you not. Fast forward 20 years and we find ourselves with a beautiful store in Sonoma California where few people understand Space Age design (but that is another story). Anyhow, we are sure there are still many UMBO's out there waiting to be rescued (and an even greater number in New Jersey's landfills). I was always hoping that Kartell would pick up production on this someday...thinking it would be such a good match. Hopefully Claudio Luti reads this and agrees! 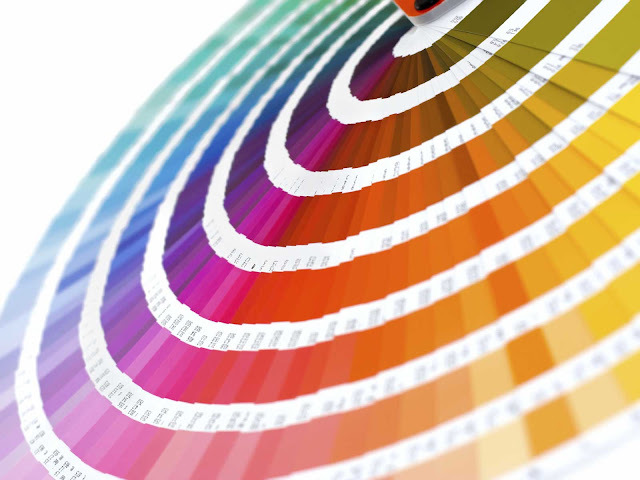 Thank you for allowing us to share our crazy passion for Italian modern design with you! 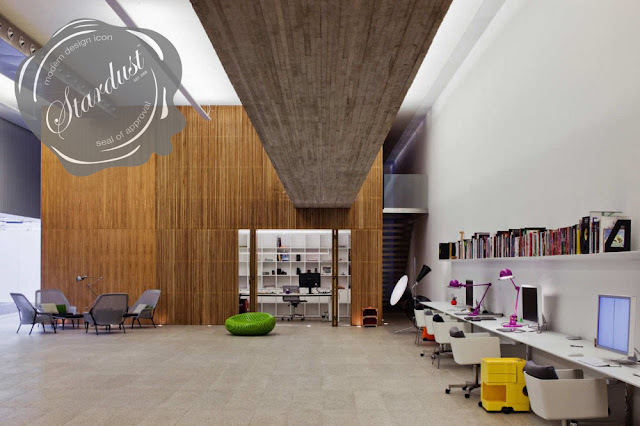 This ultra modern office makes use of the Slow Chairs and the Joe Colombo mobile Boby Office Organizing Trolleys on Casters. Both available from Stardust Modern Design.